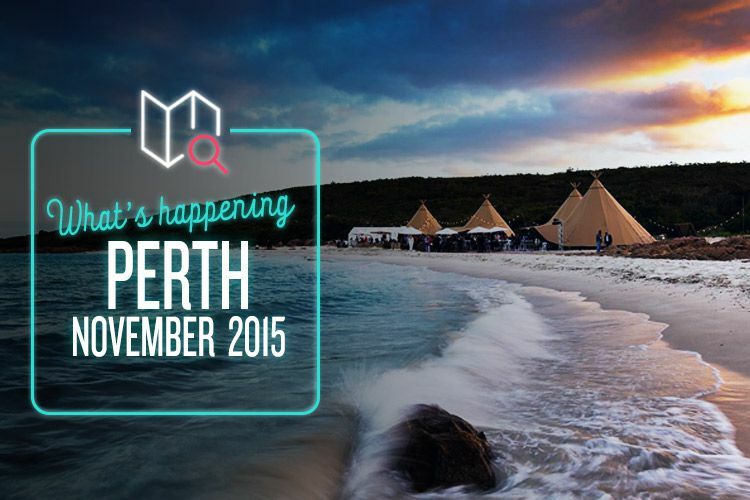 From beaches and forests to the depths of space, Perth is full of adventure this November. We love Stephen Fry. The man’s an actor, author, journalist, comedian, director… not to mention the much-loved host of ABC TV’s QI. And, luckily for us, he’s bringing his hilarity to Perth this November with a one-man show. While it’s a bit of a mystery as to what exactly he’ll be talking about, Fry has promised audiences that he’ll be telling “some of the most marvellous stories ever heard”. It’s a big call, but we’re pretty sure Fry has what it takes to deliver. Get away from the city this November and experience the beauty of the Margaret River region while savouring some of the best food and wine from over 50 of the world’s most talented culinary experts. Whether it’s a gourmet barbecue on pristine beaches, a sundown soiree overlooking magical vineyards or a farm-style feast in cool timber forests, the Margaret River Escape has a range of events that will showcase the most perfect combinations of food, drink and atmosphere that the region has to offer. Sometimes, you just want to switch off from today’s techy world and go back to a simpler time. Well, the monthly markets at The Glades have something for the whole family, featuring over 80 stalls and a range of food trucks serving delicious food from all over the world. Whether it’s fresh locally-grown produce you’re after or unique handmade arts and crafts, a stroll through The Glades Arts & Produce Markets will not leave you empty handed. Call us nerds but with the launch of the new Star Wars movie drawing closer and closer, we can’t help but wonder it would be like to travel through the stars. Well, here’s your chance to find out. This November, Scitech is hosting an out-of-this-world experience for adults only, where you can grab a drink and travel through over 100 exhibits and learn about the life of an astronaut. You might even say it’s “out of this world” (sorry we couldn’t resist).